Bryum lisae var. cuspidatum at Alum Creek State Park, Waldo, Marion County. April 17, 2008. How to recognize small-mouthed thread moss: Bryum lisae var. 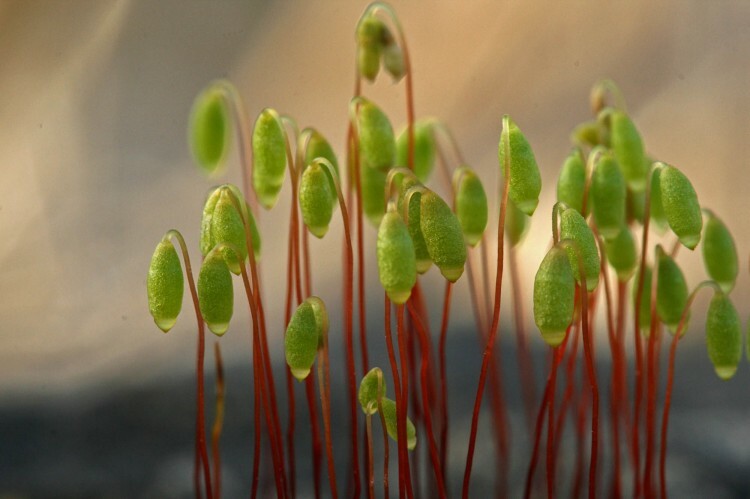 cuspidatum is a cushion moss with short gametophytes and quite tall sporophytes bearing nodding capsules. Larger leaves are crowded together at the top of the stems. It is almost always found with capsules since the male and female organs are clustered together in the same group. It has nodding capsules on a 10-40 mm long seta. The leaves are 2-3 mm long, with recurved margins, and with the costa excurrent at a long awn. The leaves are contorted when dry and spreading when wet. The border on the leaves is 2-3 rows of elongate cells under the microscope. 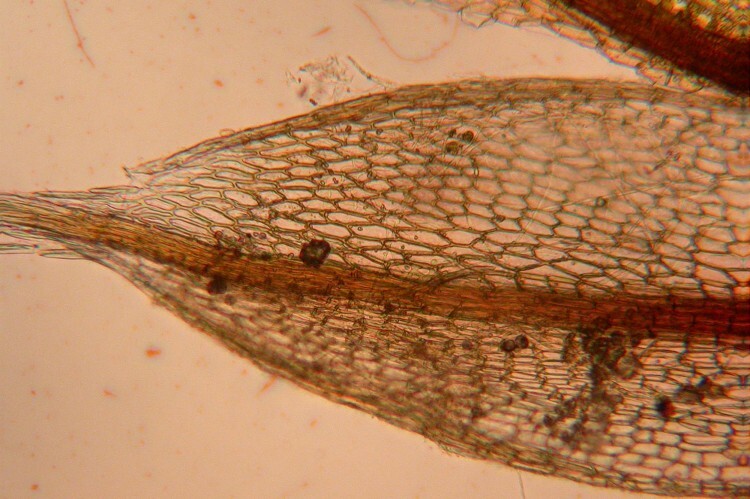 The cells at the base of the leaf are 50-80×16 microns, rectangular and the same width or slightly wider than the rhomboidal or fusiform 40-50×12 micron cells in the rest of the leaf. In Vol. 28 of the Flora of North America it is referred to as Ptychostomum creberrimum. Where to find small-mouthed thread moss: Bryum lisae var. 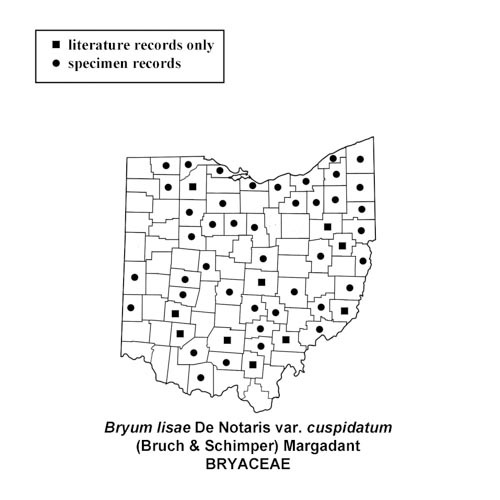 cuspidatum is a common weedy moss of open disturbed sites. It can also be found along streams, on rotting wood, or on rock.